The whole range consists of a double cleansing set, a serum, a retinol oil, a moisturiser and an eye cream, so basically everything you need for an optimum skincare routine. Depending on your stance, you might look at this routine and feel it’s missing a toner and/or an acid, but I believe there are plans to add such things to the collection later this year. I can’t wait! 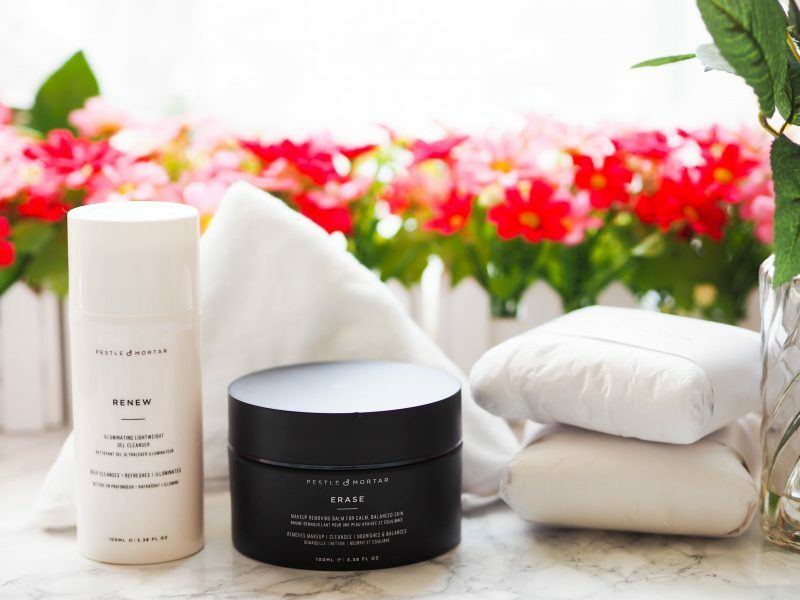 At first glance, you might feel the monochrome packaging is just a gorgeous way of presenting the products (which it is) but it’s also colour coded so you know exactly what to use and when to use it: white products are designed for AM and PM use, whereas the black products are just for your night time routine. The one ingredient that’ll get me immediately interested in a skincare range is hyaluronic acid, as it’s such a fantastic humectant that’ll pull life back into even the driest skin, yet it’s the sort of thing that every routine should feature, so I love the fact that the Pestle & Mortar skincare line started with an essential like their Pure Hyaluronic Serum. 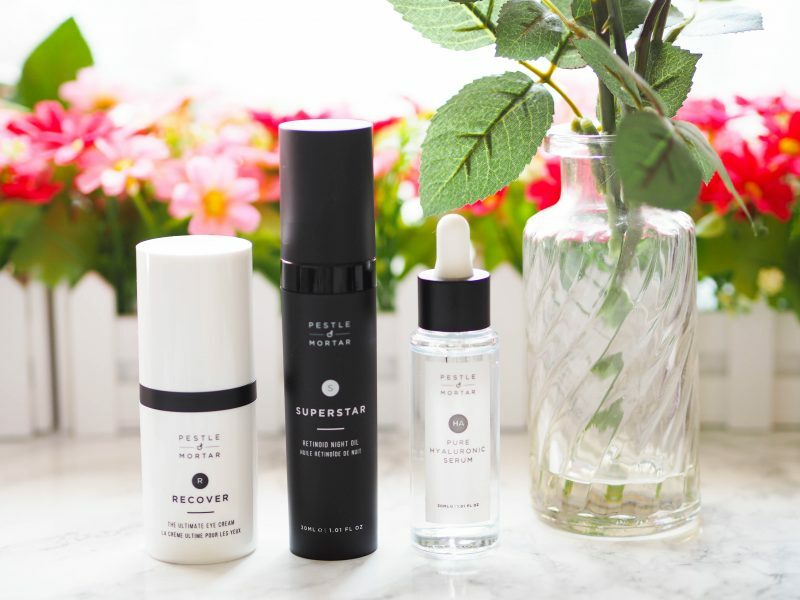 If you’re seeking something that’ll put the joy back into the cleansing, the Erase and Renew Double Cleansing System will remind you of just how amazing a really good cleanse can be – this trio of essentials will not only provide a thorough, non-drying, lightly exfoliating cleanse that’ll leave skin prepped and ready for skincare, it’ll also start showing you just how impactful a good cleansing routine can be – I’m totally hooked. 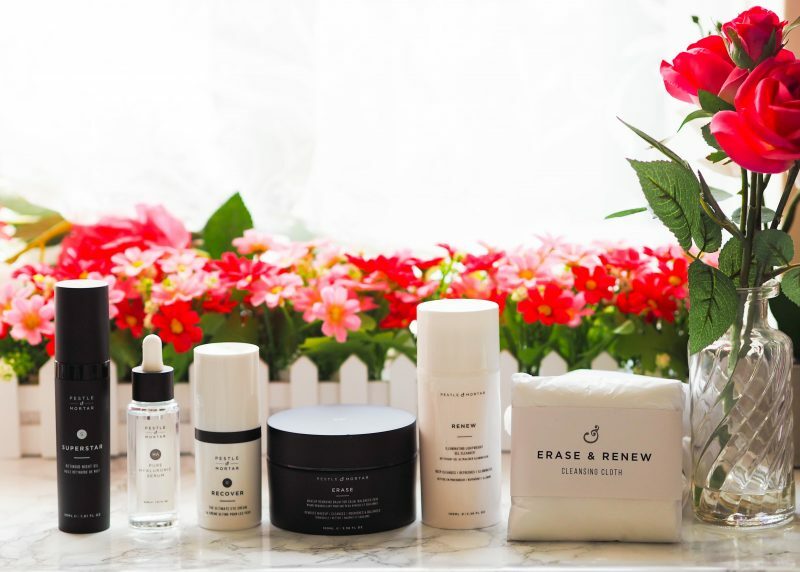 Tying in nicely with the above, the Erase and Renew Cleansing Cloths are *amazing* – I have three and I’ll be stocking up on more. The reason they are so fab is because they combine the very best of both flannels and muslin cloths, since one side is a flannel and the other is…can you guess? A muslin cloth! 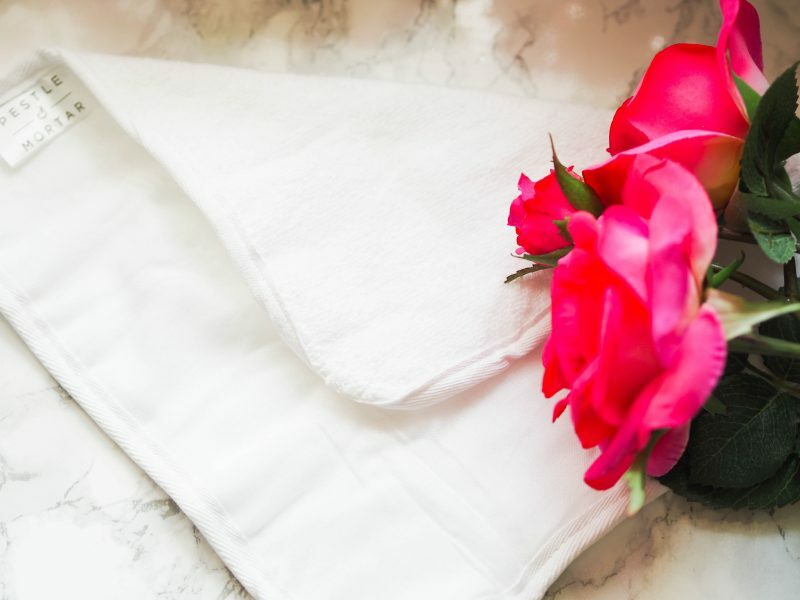 Consequently the muslin cloth side is easier to use and holds warmth, and the flannel performs like a follow-up cloth after the muslin has been used. Interestingly, both sides don’t hold the residue like my other face cloths do, so a good rinse results in a clean and fresh looking cloth that isn’t stained with make-up. 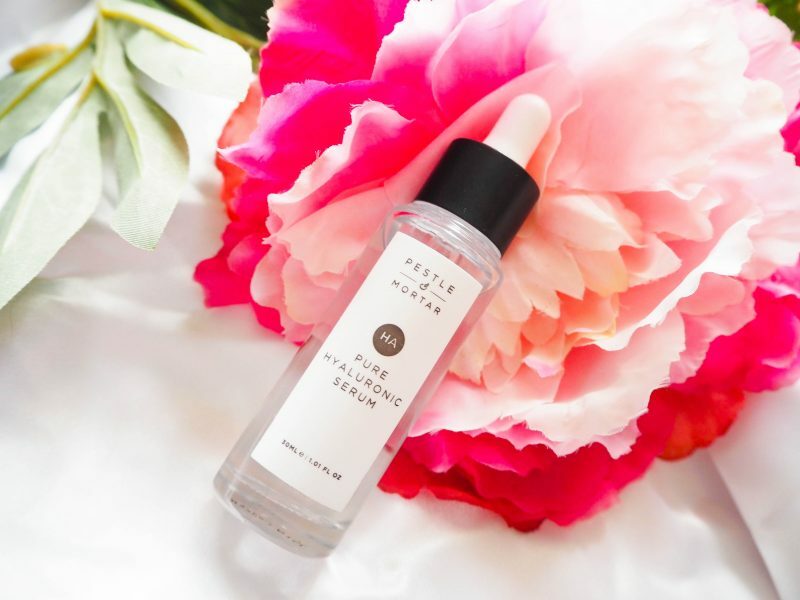 These are truly brilliant and an essential investment for any skincare lovers. 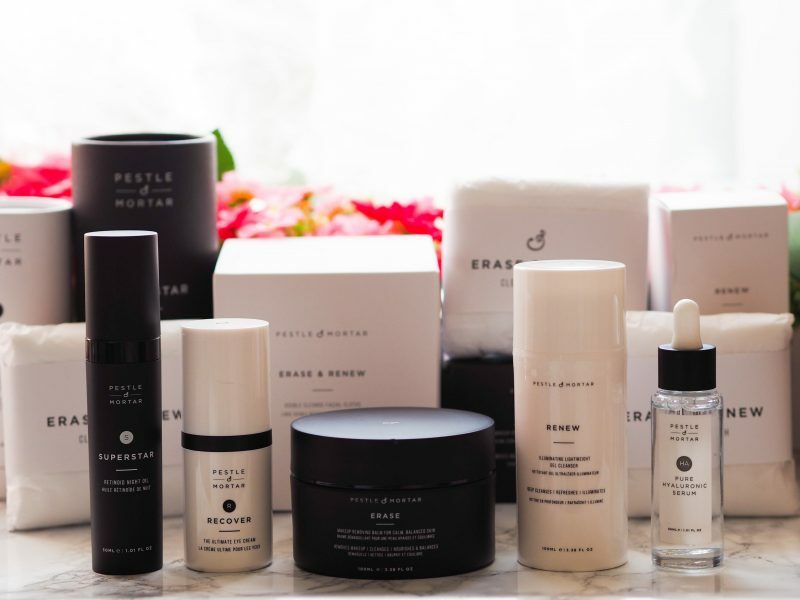 You can find out everything you need to know about the Pestle & Mortar brand and all of the products at their main site here – link. They’ve also recently launched on QVC UK, so it’s well worth keeping an eye out for any special deals. I’ll be sharing my thoughts on a couple of the products soon. Next Post Latest in Beauty Sunday Times Style Beauty Box – Move Quickly For the Good Stuff!